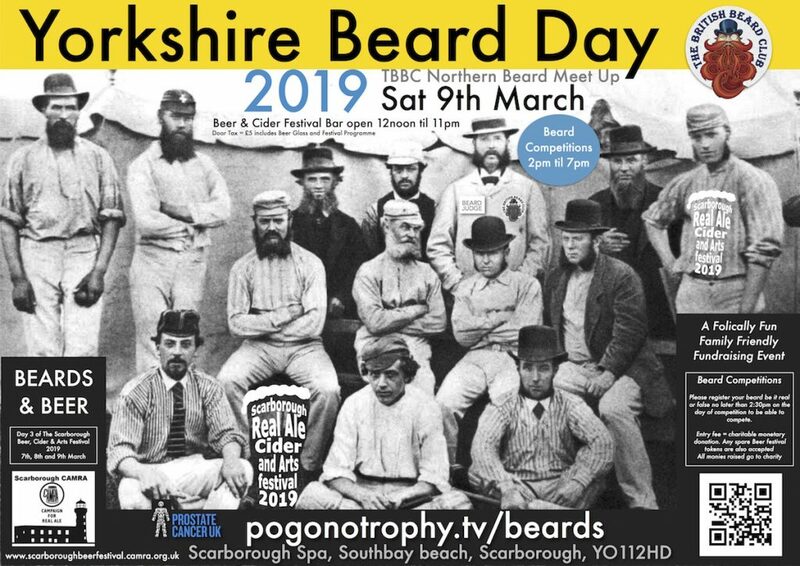 Yorkshire Beard Day 2019 will take place on Saturday 9th March 2019 in The Ocean Room, Scarborough Spa, Southbay, Scarborough, YO112HD. You are therefore cordially invited to join us at the above location on Saturday 9th March 2019 for a folically fun, familly friendly fun raising event featuring Beards, Beer, Beard competitions, Bearded Bands, Beard Barbering and all manner of Bearded merchandise including the ever popular knitted beard stall. All profits going to charity. 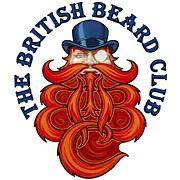 Yorkshire Beard Day 2019 – TBBClub Northern Beard Meet Up – Saturday 9th March 2019 – The Ocean Room, Scarborough Spa, Southbay, Scarborough, YO112HD. BEARDS & BEER Day 3 of the Scarborough Real Ale Cider & Arts Festival 2019 hosted by Volunteers of the Scarborough CAMRA branch. The annual fun and friendly beard competition run by members of The British Beard Club will take place between 2pm and 7pm on the day. You will need to have registered your beard in person at the beard competition reception table by 2:30pm on the day of competition to be able to compete. Entry Fee is by charitable monetary donation, any spare beer festival tokens are also accepted. All monies raised go to charity. Raising funds for and awareness of Prostate Cancer. There will also be Beard portrait photographers in the venue with their cameras eager to capture your beard in all its magnificence! Your beard will be judged with beards that will be similar to your own, sometimes the difference between two closely competing beards is how well yours is presented… a quick internet search of other beard competitions may help inspire you with your ‘look’. There are 15 different beard style categories to choose from including Styled stubble, Moustache, Goatee, Musketeer, Sideburns/mutton chops, Business Beard(short beard), King Edward VII, Verdi, Badger Beard, Garibaldi, Full Beard Natural, Full Beard Styled with Moustache, Full Beard Freestyle, Partial Beard Freestyle, False Beard Freestyle. 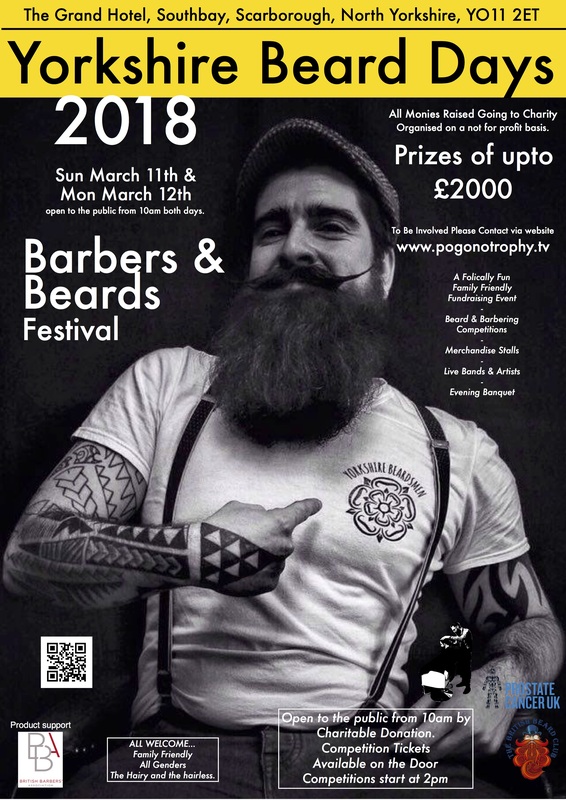 Each Beard Style category will be paraded in front of the public and have a winner chosen by the Beard Judging panel, then the Beard Style Category winners go through to compete for the accolade of “Yorkshire Beard of the Year 2019” an element of which is decided by public vote. Secret spotter prizes will also be awarded throughout the day… could you be the slug balancing champion? Everyone who enters the Beard Competition will have their beard photographed and their image placed on the “Beard Gallery Wall of the Hirsute” so the public can discuss and pick their favourites before, during and after the Official Judging of the Beard competition. Above all have fun and enjoy your big beardy day. In previous years we’ve brewed up a special Yorkshire Beard Day Beer, this year the splendid fellows of the Scarborough CAMRA Branch have organised the Scarborough Beer Cider and Arts Festival and bring you over 80 different real ales and 20+ Ciders and Perrys to choose from made by some of Yorkshire’s finest brewers and breweries….and others from further afield. The Scarborough Beer Cider and Arts Festival is being held over 3 Days Thursday 7th, Friday 8th and Saturday 9th March Yorkshire Beard Day, and open 12noon until 11pm each day. Children are welcome at the festival until 8pm. Organised and run by unpaid Volunteers dedicated to seeking out quality real ale! Thank them with a smile and you will be well served. BEER GLASS & FESTIVAL PROGRAMME. Door Tax is £5 and for this you get a Festival Beer Glass and a Festival Programme filled with all the beer and beard info you will need to guide you whilst you are in attendance and more importantly let you know what you’ve been drinking when you wake up the next morning…. SO LET’S ALL RAISE A GLASS! TO 2019! Poster for Yorkshire Beard Day 2019 – TBBClub Northern Beard Meet Up – Saturday 9th March 2019 – The Ocean Room, Scarborough Spa, Southbay, Scarborough, YO112HD. 2019 is the 8th time we have celebrated Yorkshire Beard Day the first one being “Beards, Beer and Louis Barabas & the Bedlam Six” in 2012.